These days, users use their smartphone as a mini laptop. They use it every day for their various tasks from business to entertainment and from education to medical purposes. Before five years almost all people use their mobiles for just few tasks like as for calling, listening music or watching 3GP video clips and sometimes for internet browsing. Slowly, it started to change, afterwards more and more people were started to use their mobiles for heavy tasks that so many users feeling less memory space on their gadgets. To overcome this problem companies started to develop more memory space in their all devices so customers could buy bigger storage devices. But problem again rose when all contents of smartphones became high definition. The HD videos, HD games and high resolution images took all memory space and leave less memory to operate. Now this was impossible for every smartphone manufacturers to expand storage space on each device due to some limitations. So finally they decided to transfer their all users to alternative place where they could get more space. Firstly, Apple was the only player in the market who limits storage on their iPhones. There are no expandable storage options on Apple’s iPhone and iPad models. Now slowly all players in industry are removing external storage options. From company’s view there are two benefits of removing external storage, first one is they can turn device into best design and quality and second one and most important is device can run faster without any lags. Best performance and best look on gadget also good benefits from users view but in some ways they need to limit their usage. It is not easy for every user, specially, to those users who store high graphics games, 1080p videos and best quality images on their smartphones. To follow Apple’s trend the Samsung also started to release their devices without external storage. They started it with their top Galaxy S6, but later dismissed it with Galaxy S7, S7 Edge, Galaxy S8 & S8+ and Galaxy Note 5, 7 & newly launched Galaxy Note 8. They released their new Note 5 and S6 Edge+ devices without storage options. Now more and more users wanted to know how they could increase more space on their smartphones. If you also one of those users who want to free some space then I am here to help you. Here are some tips you can use to free some gigs to take more of your devices. This is the main and best option for you. If you are suffering from low memory then this is the perfect choice. If you have iPhone X, iPhone 8, iPhone 8 Plus, Galaxy S6, S6 Edge+ and Note 5 then Samsung provides you free gifts with these gadgets. 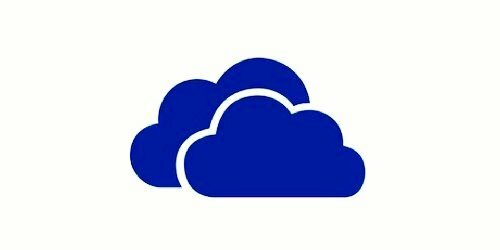 In that you can get free 100GB OneDrive cloud storage for next 2 years. If you bought 32GB model then you can transfer your most data in cloud so you could use more space without any problem. Apple also provides free 5GB iCloud storage on their iGadgets and if it is not enough then you can get Google Drive which provides 15GB cloud space without any charge for every customer, specially it cares Google Pixel 2 & its predecessors. This is also best option to use. The portable wireless storage gives you chance to carry hard drive with you. It is quite expensive than microSD card and USB Flash but it is best option to store more data even lots movies and music collection. You can connect portable wireless storage device to your smartphone with the help of Wi-Fi. It transfer data much faster and also it can stream your data without buffering if you have better Wi-Fi connection. This is last option but it is also good solution. The USB flash drive is tiny device so anyone can carry it everywhere. Buy an USB flash drive with micro USB port from the market which can attach with your device. These days all flash drive made for mobile devices so they are very easy to use. The Android 4.0 and above all Android versions support it. If you have newer Android version then you can use it more easily. These are the best options you can use to expand your memory storage. Now this is useless to hope from companies to bring back external memory storage. Slowly all manufacturers removing these options from their mobiles, so it is always better to put alternative choices, either with the help of Cloud space, portable wireless storage or USB flash drive.